We have ten more songs from ten new and soon to be released albums that we have been enjoying out here at BLUES JUNCTION. 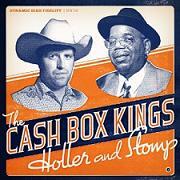 The Cash Box Kings do a tune written by guitarist Joel Patterson on their tremendous Blind Pig debut album Holler and Stomp that reminds me somewhat of the Slim Harpo tune Tip on In. Oscar Wilson gives a fine vocal performance to go along with Joel Patterson’s greasy Excello style guitar playing on this track. This is a great track from a terrific new album that came out in October. The Cash Box Kings core band includes Wilson along with its principle song writer, vocalist and harp player Joe Nosek, and Kenny "Beedy Eyes” Smith on drums. Also on board for this record are, as mentioned, Patterson who imbibes virtually every track with stellar fret work and bassist Jimmy Sutton who is one of the best bass players in the world. Guitarist Billy Flynn and pianist Barrelhouse Chuck make excellent contributions to round out the disc. 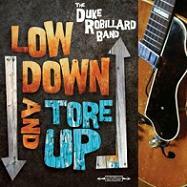 Duke Robillard’s Stony Plain Records release Low Down and Tore Up, which has been out for a few weeks now, has a wonderfully under-produced, off the cuff feel about it. 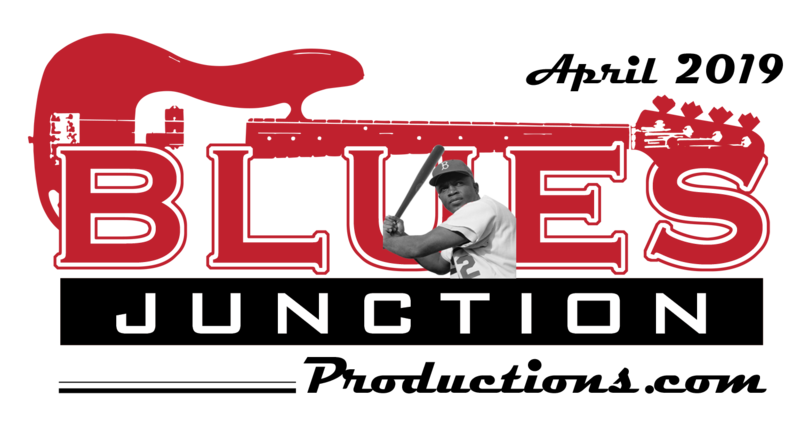 Duke again visits some wonderful old tunes and breathes new life into some real blues gems. One of my favorite slow blues tunes of all time is a tune very closely associated with Pee Wee Crayton, Blues After Hours. The prolific Rhode Island based guitarist does Crayton and this tune justice which is no surprise to anyone who has followed Duke’s phenomenal career. As far as I am concerned Duke Robillard is a national treasure. Sugar Ray Norcia is a singer and harp player who once fronted the band founded by Duke Robillard decades earlier, Roomful of Blues. On Norcia’s last outing his 2007 album My Life My Friends My Music, Sugar Ray and the Bluetones incorporated that little big band sound by including several former and, at the time, current members of Roomful. This time out Norcia and the Bluetones go with a stripped down five piece ensemble featuring guitarist “Monster” Mike Welch. The original, I’m Certain that I’m Hurtin’ is a swinging affair that is vintage Sugar Ray. This Severn Records release Evening, which has been out now for a couple of weeks, is already one of my favorite releases of 2011. 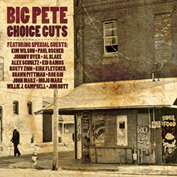 Big Pete’s album Choice Cuts on Delta Groove Records, that came out a couple of weeks ago, is a favorite out here at the JUNCTION. The Dutch singer and harmonica player Pete van der Pluijm is out in front of a “special guest" laden album whose core band is pretty special as well. Gutarist Alex Schultz, bassist Willie J. Cambell and drummer Jimi Bott offer strong support throughout this album. We just can’t stop grooving to the Smoky Smothers tune I Got My Eyes on You and the guest harmonica playing by this month’s featured Artist in BLUES JUNCTION, Al Blake. 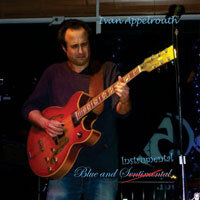 Ivan Appelrouth’s Blue and Instrumental on Eller Soul Records is the Virginia based guitarist first album as band leader. I am partial to the old guitar instrumentals and the new ones as well. Between this album and Barry Levenson’s 2011 release I am a very happy camper. Appelrouth plays mostly originals on this album but takes some classics out for a spin on a few tracks as well. Appelrouth goes back to one of the greatest instrumental blues albums of all time The Cool Sounds of Albert Collins and dusts off the classic Frosty. In doing so he does a great job in breathing new life into this old war horse. 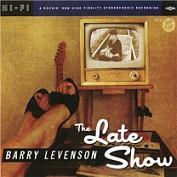 Barry Levenson’s latest release, The Late Show on Rip Cat Records came out earlier this year and is an instrumental heavy excursion that takes the very talented guitarist to several destinations. At 15 songs and 77 minutes, the album is a generous portion of some very tasty dishes. Special guest vocalists include Johnny Dyer, Finis Tasby and Mary Williams. They act as timely sorbets between the big helpings of guitar instrumentals. The instrumental title track for instance starts out like we are headed for a 60’s style Albert Collins ride before switching gears and slowing down to Ronnie Earl territory. The album which was written, produced and arranged by Levenson meets with my highest recommendation. White Boy James and the Blues Express released a new album on September 20th entitled Extreme Makeover. The album is like its front man vocalist/harmonica player James in that it is relentlessly fun and, at times, a little dangerous. The song Excuse Me for Scribblin’ is an original where in our protagonist discusses his relationship to our educational system in front of a rollicking rockabilly back beat and some absolutely scorching guitar from the Blues Express’ Scott Abeyta. 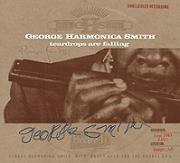 George “Harmonica” Smith has a June 2011 re-release on Electro-Fi Records entitled Tear Drops are Falling. Smith was backed on this 1983 recording by Buddy Reed and the Rocket 88’s. They do the Little Walter tune Going Down Slow. It is great to hear something old that is something new from George “Harmonica” Smith. Another great re-issue is by William Clarke and Junior Watson. This album was previously available only as a download and now is available on CD from Blue Beat Music. 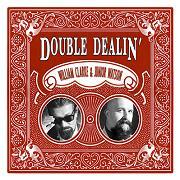 We have been grooving to the song All Night Long from the album Double Dealin’. West Coast blues, or blues on any coast for that matter, doesn’t get any better than the late great William Clarke and Junior Watson. Last September an extraordinary album came out that celebrates the joy of eating meat cooked over an open flame. This anthology of pre-war blues music shares with its listeners a rare look into some true geniuses of American music. 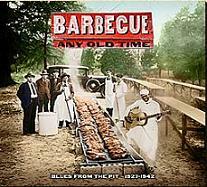 The 24 track digitally remastered recordings, as well as the twenty page booklet included with them, chronicle the history of barbeque and blues music in the early part of the twentieth century. We have been grooving to a track recorded in 1934 by “Big Boy” Teddy Edwards. The song Who Did I Give My Barbeque To? features Edwards playing a tiple (nine string guitar). He is accompanied by “Big” Bill Broonzy on guitar and Papa Charlie Jackson on banjo. Edwards soulful vocals soar over a deep groove.